Finding freelance work can seem overwhelming. Traditional job boards such as Indeed don’t make finding remote-specific jobs easy since they are focused on locating opportunities in your general region. Fortunately, as remote work becomes more common, dozens of job sites have emerged to help workers find freelance opportunities. This list of the best freelance websites can help you land a full-time remote gig or build up extra income streams to supplement your main job. We’ve broken the list down based on the type of freelancer so you can easily find the freelance website you need for your desired field. Upwork started out as Odesk and now claims one of the top spots in helping remote workers find freelance jobs. The site features job opportunities for people of all skill levels and is a great place to start your freelance job search whether you're just starting out or are an expert. The site also makes it easy to filter through freelance gigs if you're looking for short-term, part-time, or full-time work. Fiverr is the go-to site for small side jobs. While many expert freelancers use the site as their source of full-time income, it tends to be a better choice for supplemental income for most freelancers. You can offer services ranging from graphic design for logos and business cards to web development and more involved projects. Guru boasts more than 3 million members across the globe who've successfully used the freelance platform to land freelance jobs. The platform offers a payment service known as SafePay, so you never have to worry about an employer missing payments. The site offers a wide range of job opportunities for everyone from virtual assistants and secretaries to programmers, developers, and engineers. Toptal is a website where remote workers can post their freelance services. The site works only with the top 3 percent of freelancers. They use a rigorous vetting process that identifies freelancers with top skills and a passion for the work they do. The site has been used by top names including Airbnb, Hewlett Packard, and Pfizer. The top freelance talent means If you're among the top freelance talent, this site is a great resource to boost your income. Flexjobs is a paid freelancer job board that features opportunities that have been vetted. That means you'll never have to worry about scam opportunities when using this site to build out your portfolio. You can choose from a short 30-day membership to find a one-off job or opt for the multi-month or full year membership to always have access to new freelance opportunities. Peopleperhour enables you to join a community of more than 1.5 million freelancers. The site has been featured in BBC and Business Insider and has been used by close to 1 million businesses looking to hire freelancers. The site connects business owners with qualified freelancers who then create a tailored quote based on the potential project. Craigslist is far from one of the highest quality sites for finding freelance work, but it's still useful for local remote gigs. The site has a huge online presence meaning you can easily find opportunities to work remotely in your local community. The difficulty with Craigslist is that the opportunities are not vetted so you'll need to be patient when combing through opportunities. Make sure to keep an eye out for scams and be diligent when choosing which opportunities to apply for. 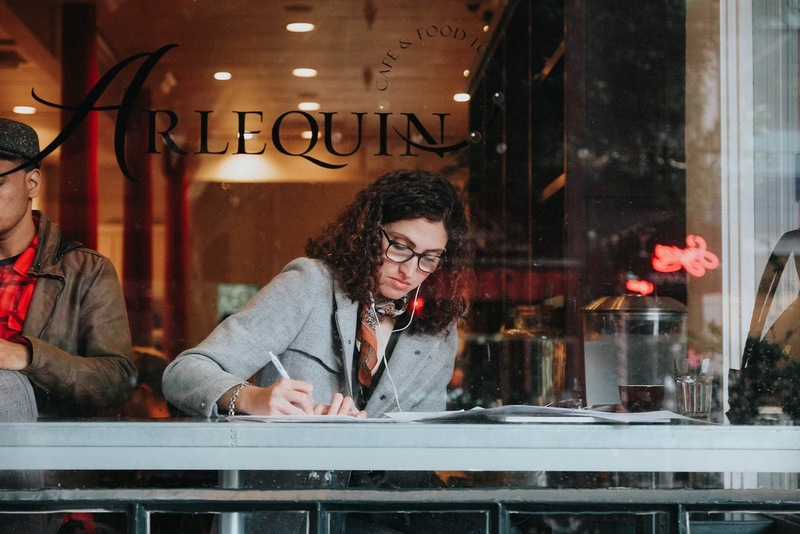 If you're a writer looking for freelance job opportunities, you have several options. You can start with one of the freelance marketplaces or job boards listed above or opt to apply to writing agencies. Writing agencies connect writers with B2B and B2C businesses that are looking to increase their online presence. You may create content for social media posts, blogs, or manage their entire content marketing plan. The Writer Finder is a Growth Machine company that helps connect business owners with top talent to produce marketing content. Business owners make a request for writers outlining their desired skill set and area of expertise. The team at The Writer Finder then reaches out to qualified writers who may be a good fit for the job posting. Within 72 hours, the business owner receives a list of the top 3 writers and takes over the hiring process from there. The benefit of the Writer Finder for freelance writers is that you don't have to remember to scour a job board each morning. You'll receive potential job opportunities straight to your email as soon as they become available. Textbroker is another writing agency that connects United States-based authors to digital marketing and content opportunities. Since 2005, the site has executed more than 100,000 content opportunities each month. To get started, create an account and verify your U.S. citizenship. You'll submit a writing sample, which will be graded to estimate your skill level. You can then create your writer profile and start applying for gigs. You'll be paid per word and can choose if you prefer to work with specific clients or have a more flexible and open schedule. Writer Access is a freelance writing job agency that hires experienced content creators from the U.S., Australia, New Zealand, Canada, the U.K., and South Africa. The site is designed for writers who already have some experience and features a vetting process where your skills and expertise are tested. The site takes your interests and uses artificial intelligence to pair your skills and interests with potential opportunities. You'll keep 70 percent of the pay for gigs or 80 percent of the pay for PRO jobs completed through the site. Along with writing, graphic design is one of the most sought after freelance gigs. Fortunately, there are several sites dedicated specifically to freelance graphic design. Here are some of our favorites. 99Designs is an all-in-one site for design needs for business owners. To sign up as a designer, you'll create a profile, which will be vetted by one of the 99Design team members. This will help determine your skill level so that the team can reach out when new design opportunities emerge. 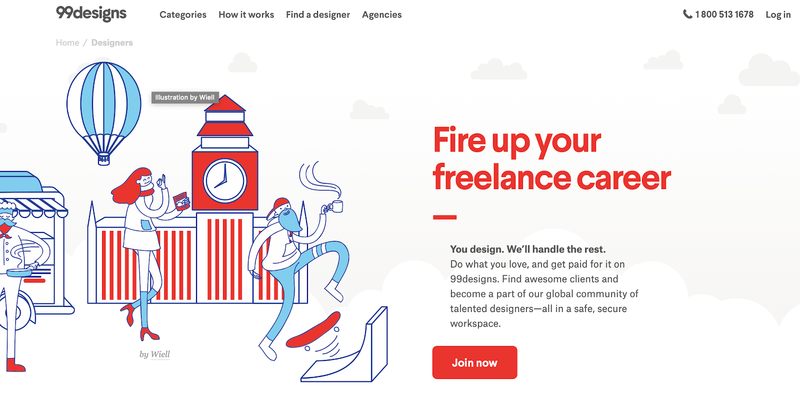 The site charges a 15 percent fee for entry-level designers, 10 percent for mid-level designers, and 5 percent for top-level designers, so you'll earn more as you improve your skill level and become a top freelancer. Designhill allows freelance designers to post design services for full-time employment or bid for small tasks to make extra money. The site also features design contests that enable designers to show their chops when it comes to creating stunning visual content. For the contests, you won't get paid unless your design beats out the competition so it's a great site to push your skills and perform your best work. DesignCrowd is a great website for freelance designers looking to build their clientele. The site makes it easy to create everything from logo designs to business cards, and web design. You'll compete with hundreds of other designers to produce stunning visuals for each individual project. Freelance job boards and marketplaces are the best places to find potential clients who are looking to hire freelancers. As remote work takes off, these sites offer opportunities for all skill levels from entry-level beginners to top talent. Some include a screening process, which makes it easy to identify your skill level and determine what you need to improve to become a top freelancer. These freelance websites enable you to show off your past work and create a portfolio of your content creation works. Whether you want to use WordPress to create stunning web design, perform data entry, or are looking for freelance writing gigs to earn extra income, these are the best freelance sites to use.